You can be assured of a friendly, professional service. All of our staff put you the customer first. We give a high quality, trustworthy, affordable service which produces satisfied customers who are willing to place repeat business and to recommend Handy Anton to their contacts. 5-star member of the Lancashire Trading Standards' Safe Trader Scheme. Customers give very positive feedback to Trading Standards about work by Handy Anton. 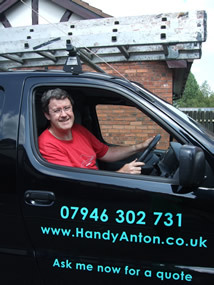 Handy Anton offers a handyman property maintenance service around Preston, Lancashire. 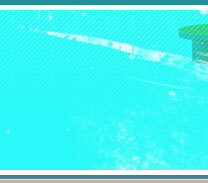 Choose Handy Anton your local handyman for repair and maintenance of your property. 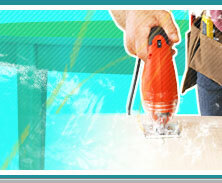 You will get a friendly, professional home repair and maintenance service. 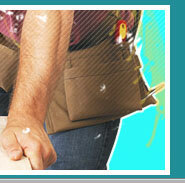 Do you need a reliable, trustworthy Handyman who is able to complete a variety of tasks around the home? Handy Anton is proud to have won a "TRADER EXCELLENCE AWARD" at the 2012 Safe Trader Awards in recognition of consistently positive customer feedback. He will collect the award at a ceremony in November. Services offered include decorating, woodwork, tiling, plumbing, electrical repairs, fitted furniture installations, kitchen fitting, exterior painting, flat pack furniture and garden landscaping. You can book Handy Anton for just one hour or for as long as you need. We provide an excellent service at a straightforward price, with no loaded call out charges or hidden extras to surprise you. There's no obligation, but we think that you will like what we have to offer.